The Toronto Raptors travel to Oklahoma City to face the Oklahoma City Thunder at the Chesapeake Energy Arena in what is going to be a very entertaining game. The Thunder are currently 6th in the Western Conference, with a 42-29 record. They are tied with the San Antonio Spurs and are 2.5 games behind the 3rd placed Houston Rockets. They come into this game with some really bad form, having lost 3 games in a row and have won just 4 of their last 10 matches. The Toronto Raptors on the other hand have been superb all season long and are currently 2nd in the Eastern Conference with a 50-21 record. They are 2.5 games behind the top seed Milwaukee Bucks and are looking to get on a winning run. They have won just 6 of their last 10 games and will be looking to finish the season with a bang. 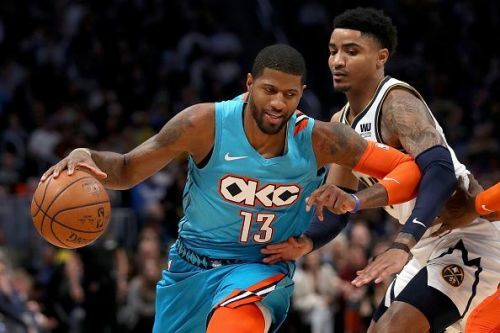 The Oklahoma City Thunder lost their most recent game against the Miami Heat, 107-116, in a tough loss without Russell Westbrook, who was suspended. The Toronto Raptors won their last game, beating the New York Knicks with relative ease, coming out on top 128-92. Oklahoma City Thunder: Guard Andre Roberson is out indefinitely with a knee injury. Toronto Raptors: Guard Kyle Lowry is considered day to day with an ankle injury. Guard Russell Westbrook has been enjoying a stellar season this year, after starting out poorly and then enduring a very torrid shooting streak. He still unbelievably is averaging a triple double again this season and has shown no signs of stopping anytime soon. He is still the same, with his intensity and anger, getting suspended for the game against Miami Heat last night but is available against the Toronto Raptors. He is averaging 22.9 points, 11.1 rebounds and 10.5 assists a game, along with a really high 2 steals a game. The Raptors need to shut him down if they want to frustrate the Thunder and get a solid win. Last game stats: 7 points, 2-16 FG, 9 assists, 8 rebounds, 1 steal, 1 block and 4 TOs against the Golden State Warriors. 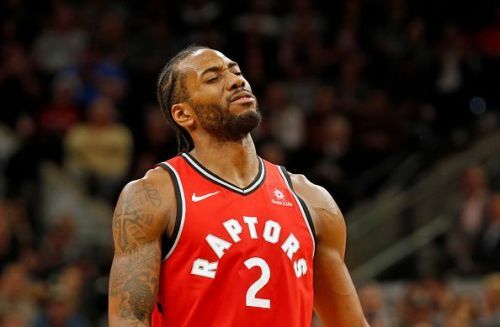 The Toronto Raptors made a very risky deal in the off season by trading their franchise cornerstone in DeMar DeRozan for a one year rental for Kawhi Leonard, boosting their chances of a title this season by a huge margin. He has been nothing but elite for them, except for missing the back to back games this season, due to load management. The Raptors would love to convince him to stay as he has averaged 27.1 points per game this season, along with 7.4 rebounds a game and 3.2 assists as well. The Klaw is returning to his defensive form again, with an average of 1.8 steals per game this season. Maybe he saving himself for the post season run with the Raptors and they are definitely a very dangerous team, the Thunder need to contain Kawhi to stand a chance against them. Last game stats: 33 points, 11-21 FG, 10 rebounds, 2 assists, 1 steal, 1 block and 1 TO against the Detroit Pistons. The game between the Toronto Raptors and the Oklahoma City Thunder will a really huge one as both teams will want to win this one and it will have a big playoff feel to it. While the Thunder get stronger with the returning Westbrook, the Raptors will have Kawhi back as well. But the injury to Lowry will probably tilt this one to the Thunder and a home court advantage too works for them. It is a really difficult one to call since both teams are so well matched.